How To Share Files Between Mac And Windows Via Internet ? 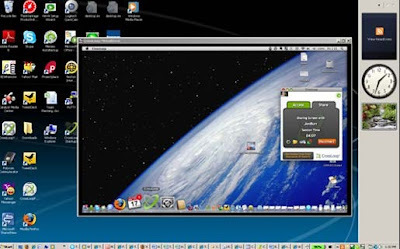 This article will be very useful to those who want tohow-to-manage-virtual-desktops-in-windows-xp-and-vista/"> share and access the files between Windows PC and Mac via internet. The name of the tool to be used is Cross Loop, available free to share the screen and allows you to access theremote-observer-20-controls-other-system-via-internet-free-download/"> desktop remotely. 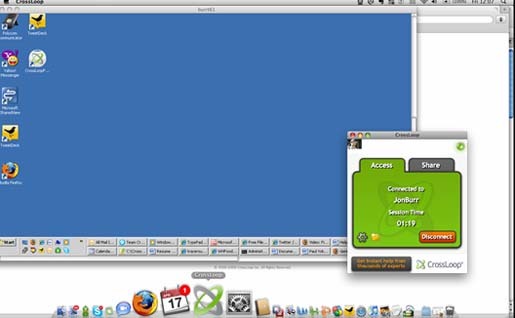 You can use this tool for both how-to-recover-administrator-password/">Mac and Windows. how-to-protect-my-files-from-copying-renaming-and-deleting/">Want to protect your files from Copying, deleting and Renaming ? 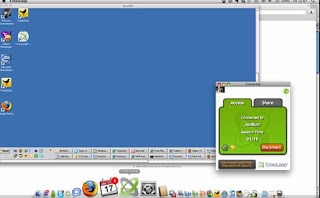 Once the connections ishow-to-install-windows-vista-sp2/"> made in Mac, you can easily view the contents of another computer or you can make a request to access full control to the keyboard and mouse of the remote computer and you can use it from your now-know-the-location-of-your-orkut-friends/">current location. Moreover, you can use this how-to-filter-file-types-in-google-video-search-results/">tool transfer the files across Mac computer or from a Mac to a Windows PC. In addition, in Windows, you have to be an administrator in order to run this yuuguu-makes-screen-sharing-simple-in-gtalk-and-gmail/">program.